A ship carrying thousands of ceramics and luxury goods for trade sank approximately 800 years ago in the Java Sea off the coast of Indonesia. Since its 1980s discovery and seabed recovery in the 1990s, researchers have studied the vessel’s cargo in an effort to determine the ship’s port of departure and destination. Researchers also are seeking to identify the origins of the ship’s diverse cargo. 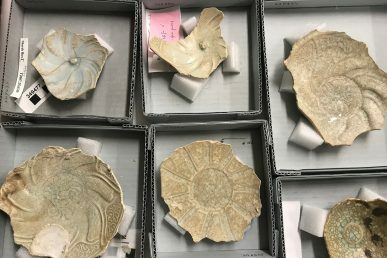 In a new study published in Journal of Archaeological Science, UIC and Field Museum archaeologists report that a portable X-ray fluorescence analyzer, which looks like an “X-ray gun,” made it possible to identify the origins of Chinese porcelains recovered from the 12th-century shipwreck and provide insight into the size and complexity of the era’s socioeconomic networks. 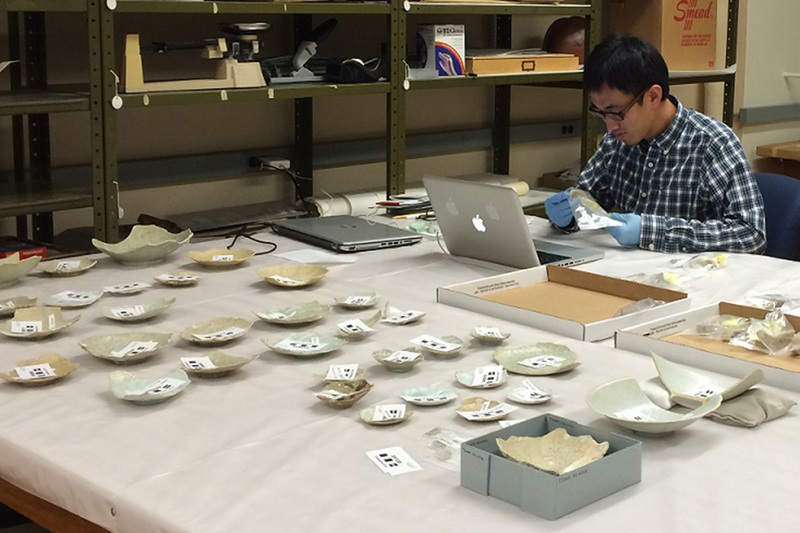 Sixty ceramic bowls and boxes from the Field Museum’s 7,500 piece Java Sea Shipwreck collection were chosen for the analysis. 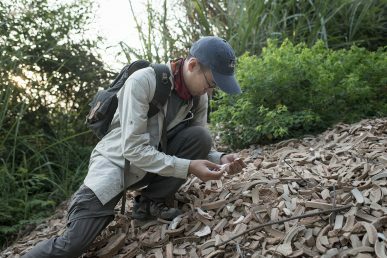 The styles of the ceramics, which are covered in a bluish-white glaze called qingbai, suggest they likely originated from southeastern China, according to the scientists. Since many kilns produced similar-looking pieces, the precise source location cannot be determined through visual inspection. The researchers sought to compare the chemical makeups of the ceramics with samples from four kiln complexes in China — Jingdezhen, Dehua, Huajiashan and Minqing. The portable fluorescence analyzer was used to shoot X-rays into the material. “It excites the material’s atoms. Energy goes flying out, and this measures that energy. Different elements have different signatures of energy that comes back out,” said Lisa Niziolek, Field Museum Boone Research Scientist and study co-author, in simplifying the complicated science of compositional analysis. According to the researchers, understanding that the ceramics in the study were created more than 2,000 miles from where the ship sank gives credence to the existence of a large 12th- and 13th-century trade network. “We’re taught to associate vast trade networks with Europeans like Magellan and Marco Polo, but Europeans weren’t a big part of this network that went from Asia to Africa,” said Gary Feinman, Field Museum MacArthur Curator of Anthropology and study co-author, in a museum news release. Xu, a native of China, collaborated with the researchers and had access to the museum’s Elemental Analysis Facility through a UIC-Field Museum partnership that has offered research opportunities and advanced degrees in anthropology for more than two decades.